"Ever since I was a child I wanted to study the stars, and that inspired me to pursue astrophysics. That led to a general love of physics and mathematics, which is why I chose to major in Physics at university. 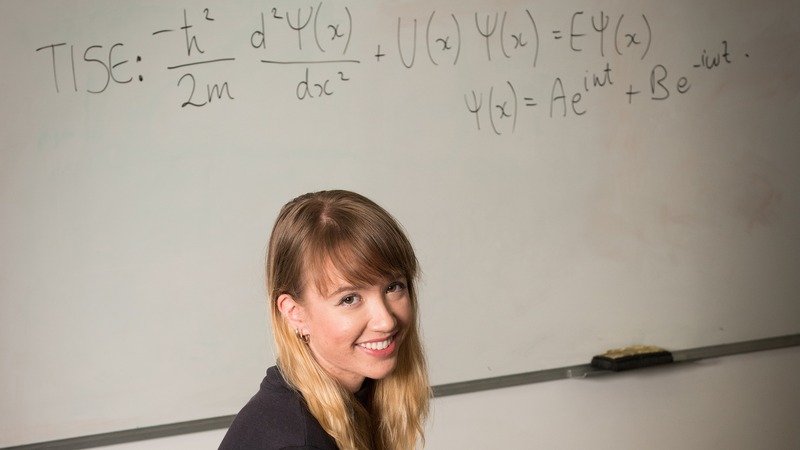 I like understanding why things happen at a fundamental level and physics lets me do this." Students also have the opportunity to do a 6-week intensive project in astrophysics instead of some of the normal labs during their third year. "The highlights of my studies thus far have been having the opportunity to get involved with so many extracurricular activities, and getting to know my department really well. The Physics department has a great relationship with students and makes you feel very welcome." Geena's advice to students is to "Do your research and make sure you're aware of any prerequisite subjects you should be taking in year 12 to ensure you can continue with certain topics (such as maths) straight away, as some individual university subjects will have different prerequisites to the actual 'Bachelor of Science' course. Also, consider and be open to the freedom you could have at Melbourne with the Bachelor of Science, as you are able to select from so many different subject disciplines (in first year especially) that it's very easy to tailor a degree to you and what you like." This story originally appeared on students and alumni of the Faculty of Science.